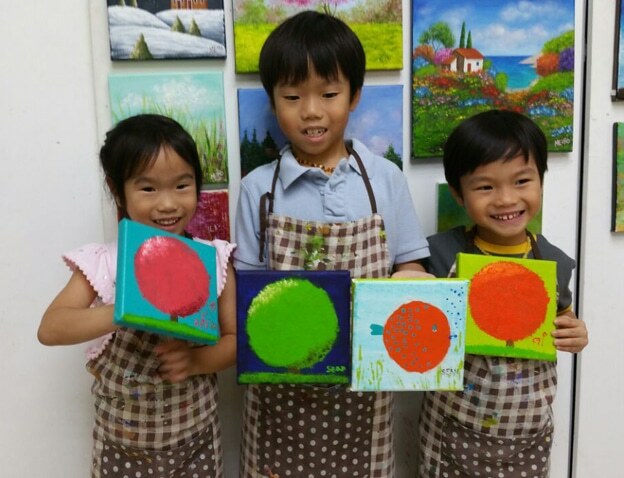 Our art classes bring out the creativity that is already there with your children. Therefore, the classes at our studio are not intended to be structured. Children already have an innate ability for creativity that is often stifled as they grow. What can my child learn and paint? One of the things that we often start with is how to take proper care of brushes and how to be organized and plan ahead. This simple lesson is a lesson in responsibility and thinking ahead. Art is not only about creativity but is also about learning how to use and take care of the tools and how not to make too much of a mess. 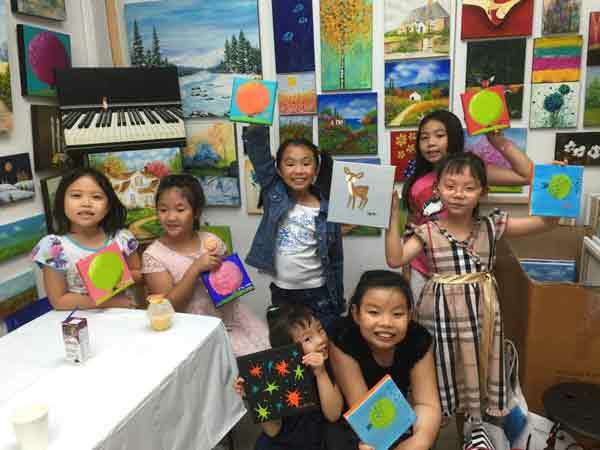 The art classes for children include learning to paint on canvas using acrylic paint. Learning to paint on canvas is probably the best place to start given the simplicity and chance to let your child’s creativity develop. Acrylic paint is also easier to work with and washes off easily as long as it is not dry. After completion, your child’s canvas paintings are great to hang around the house to show them off and makes for great decoration. Decorative painting classes is a discipline that is a little more structured. Children will learn brush stroke techniques and brush loading of colors. 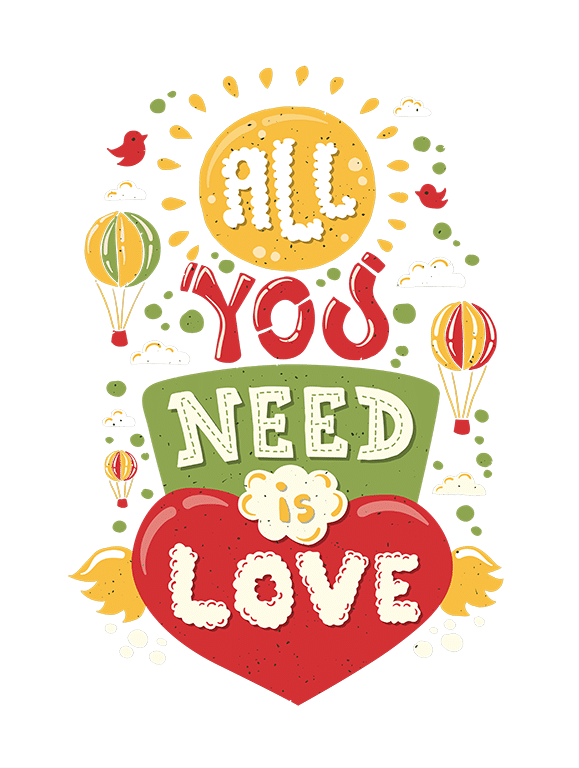 Decorative Painting is sometimes known as Tole Painting. The medium used to paint on is not canvas but wood. For children, the wood pieces are mostly decorative in nature but can also have some utility such as a wooden box for more advanced students. The discipline of Decorative painting requires focus and practice. Both of which are excellent virtues to instill in your child. 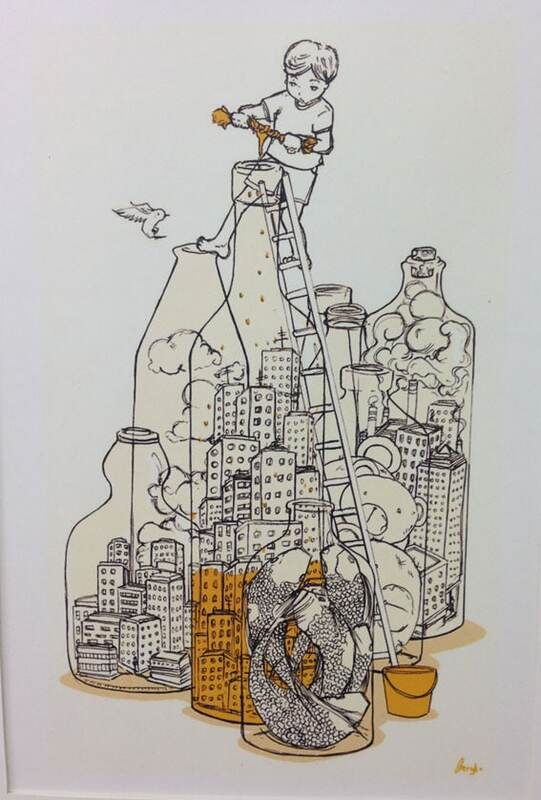 Some stories are better told in illustration! Manga, or 漫画, is the art of Japanese comics which is an essential part of Japanese pop culture. Kids love our Manga drawing classes. Children start with the basics of learning how to draw the face with the many possible expressions the face is capable of. Next, students will get to draw the body in the right proportions. Our Manga class leads to fundamental character design and sketching or conceptualize your comic series. Our Manga drawing classes are an excellent way to begin a hobby or career in the field of Japanese Manga! 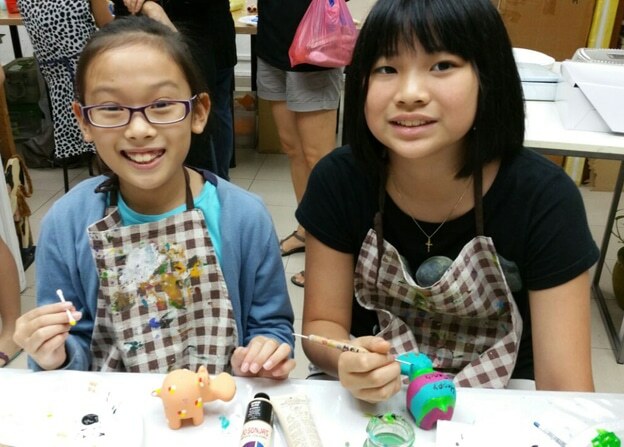 Art Classes for kids at the Heartroom Gallery are flexible. Contact us at enquiry@heartroomgallery.com or at +65 9672 7849 to book your slot. What is the cost fees for age 8 and 11? Hi Eva, best to call Mei at 9672 7849. She will be happy to confirm the price and available time. I’m looking for watercolour painting for 10-12YO Intermediates. Hi Siau Choon, thank you for contacting us. Will email you regarding our watercolor painting classes directly. Do you have any art classes for 6yo? Please advise on course fees and schedule. Hi Linekar, yes we do have classes for your 6-year old. Will send you the class schedule via email. Are there any art classes for 7-8yo during the Nov/Dec Holidays? May I know the schedule and fees? Yes, we have classes for your 7-8-year-old for the Nov/Dec Holidays. Will send the schedule to your email. I’m interested in dec holiday art programs for a 9 yo beginner if there’s any available? Would also like to find out if the regular open acrylic painting on canvas sessions are somewhat guided and suitable for kids? Hi Sophia, thank you for contacting us. Yes, we have on-going flexible art programs for your 9-year old. Best is to give Mei a call at 9672 7849‬. I will also drop you a mail to explain.